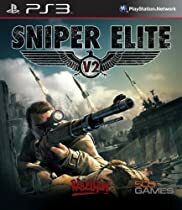 Sniper Elite V2 Silver Star Edition! Before I bought this game I was skeptical of the creator and of it being a let down of expectations being a sniper focused style of game. I could not be more wrong after playing it for only about 10 minutes. At first the controls and game play were new to me but once I got the concept it became very intuitive and smooth for my playing style. The campaign was a lot of fun and had some fairly challenging missions that, at times, needed a little of that tactical out of the box creative thinking to get passed certain parts or even survive. After the campaign I was very excited to dip into the multiplayer and see if it would be as good as single player and hopefully better, and it was that and more. It keeps the same aspect of survival and tactical creativity as the campaign and is influenced more so by the opponents being real players. At first I found myself being overwhelmed and taken out easily but after a week my experience of gaming kicked in and I really took off. All in all this is definitely worth $30 hands down...the Silver Star Edition is a must have as it includes a lot of cool stuff and extra weapons/side missions. This game is a refreshing change of pace from other first-person shooters such as BF and COD (BF is more awesome :D) and the patience it takes to be great on the online battlefield is something that makes you feel more...idk how to describe it but...fulfilled, as a gamer. I don't regret this purchase one bit...in fact this may be one of my favorite games of the past few years! Two words...BULLET CAM. Makes for an awesome gaming experience. This really is the best sniper game on the market. If you want a game where emphasis is placed on stealth and discreetness rather than a simple bang bang shoot 'em up, this is the game for you. You will not be disappointed. The best sniper game out there. You need to study all your previously taken shots and learn from them. Looking for humidity, wind direction and speed, bullet drop, bullet lead, and taking good vantage points if what you need to do if you want to have a good time. AI can be annoying. I have scanned the whole are and every enemy was facing away from me, a shoot 1 guy through the heart (awesome animations) and then switch locations, and what I found was a bunch of enemies shooting at me as if they knew where I was all along. Weird. Anyway, all in all its a great game and I'll be definitely buying the later installments to the series.